Nicole Scott has been playing derby for six years and is known as Scott Free. Nicole has been working with Jr. derby for the last four years and for the last two years has been the head coach for the Gapland Smashers. As a coach Nicole is known as Coach Nic, a name that caught on from the skaters that she coaches. Last year was the first year her team has competed in JRDA and was invited and played in Champs last July. Nicole calls the small town of Whitewood, Saskatchewan home for her and her family. She currently works as a Registered Nurse, but will soon be a Nurse Practitioner. Nicole's hobbies other then derby is volleyball and skiing; as well as running after her kids sports activities. 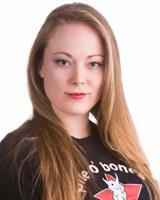 Nicole is looking forward to being part of Team Canada Jr. Roller Derby team. Nicole loves watching jr. roller derby grow within her team and province, and now within the nation. Being part of the growing force is exciting and causes Nicole to continually learn new things about the sport she loves. Scarlet has been skating competitively for 5 years and coaching for 4.5. She began by training senior skaters for PBDC but quickly prioritized her work with the juniors. Currently Scarlet trains alongside an amazing coaching staff for the JRDA Miss Demeanors. She is also one of the head trainers for her league junior skaters and took on the role of director of their Learn to Skate program last fall. 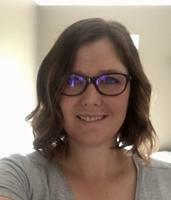 Scarlet's focus has always been on working with kids and has been working at Village RV while pursuing her Bachelor of Education (Middle Years 6-9) at the University of Regina. Scarlet's hobbies include outside skating/dancing, on and off road biking, hiking and kayaking, art, trampolining, and just enjoying life to its absolute fullest. She speaks both French and English and hope to help skaters from across Canada join her team. Representing the best talent Canada's rich and diverse country has to offer from both sides, Scarlet is very excited to be a part of this adventure and proud to represent Canada's country's colors. 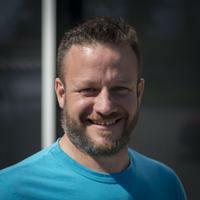 Dave is a sport and outdoor enthusiast and his hobbies include hiking, soccer, hunting, boating and coaching roller derby. In his professional career, Dave works in telecommunications enjoying the industry challenges and embracing its growth. He recently completed a Masters program in Broadband Communications. When Dave is not working, he enjoys spending his time with his family and coaching roller derby. Dave started coaching roller derby 4 years ago, in Chilliwack, British Columbia, Canada for a small growing junior team called NWO. The following year, Dave moved into the role of line coach of the adult travel team (NWO Wolf Pack). After coaching both adults and juniors, Dave settled into the role of Head Coach and Athletic Director of the NWO Junior League, attributing much of his success to the assistance of fellow coaches along the way. Some of Dave's accomplishments include coaching skaters who have gone on to achieve national success on both the Canadian World and Olympic teams. Dave’s passion for roller derby and helping young skaters achieve their goals is what he finds most rewarding. Vince has been coaching Roller derby for 5 years and has loved what the sport has done for him and his Family. Vince has a coaching past in many other sports such as Football and Wrestling. Vince has won many National Titles in both other sports. He stumbled across this sport and fell in love with it from the start. Vince has spent much of his free time coaching any team that wanted him to coach and watching as much of the game as he could. Vince coaches for many different teams. He coaches the JRDA Miss Demeanors from Regina SK. Vince also coaches Team Saskatchewan which is the All Star team from the province. He also coaches teams in Both senior and Junior derby in their clubs. He also had the privilege of Coaching the Canada East Team at the 2016 JRDA Olympics. Vince has coached 100's of games and has learned so much in doing so. Vince is honored to be chosen as the Head Coach of Team Canada in 2018 and has a great team working with him. This is going to be a great year for Canada as they are all working hard getting ready for this upcoming event. Vince is one of the most dedicated people you will find when it comes to coaching and he loves what he does. He may look a little ruff on the outside but when you skate for Vince you become family and he would do anything for you all. Vince is so proud that JRDA gave him the privilege for Coaching this Team in the upcoming Junior World Cup.